If comic books fans excel at one thing, unilaterally, it's speculation and dream-casting...and when the two collide, it can be incredible fun. Ever since the mighty Marvel Cinematic Universe architects revealed that their master plan went beyond the occasional Iron Man movie, fans have imagined all their favorite comic book heroes and villains back under one roof, allowing the Fantastic Four's Baxter Building with share the same New York City skyline as the Avengers Tower, Daredevil's law office and Doctor Strange's abode, all made a perfect and complete picture with Spider-Man swinging by. Now that Spider-Man has made his triumphant return to the mother ship, with fans shouting that this is the best Spidey we've ever seen on the silver screen, we are left to wonder what other surprises may be revealed in the not so distant future! 1. X-Men Apocalypse and the upcoming Wolverine 3 will be the last time we will see Hugh Jackman as Wolverine. 2. Jennifer Lawrence has stated this is the last time she will go blue for the X-franchise. 3. Producer Simon Kinberg, who revived the all-but-dead corpse of the X-Men franchise with X-Men: First Class is on his way out as well. With the loss of some major star power that's arguably held the X-Men franchise together, and the ushering in of a new era of more "adult" super hero films, hot off the success of the rated R Deadpool, there could be no better time for Disney to work a deal with FOX to bring the core X-Men and the dreaded mutant menace into the Marvel Cinematic Universe. You'll note that, thus far, the films, and even the Netflix series for Daredevil and Jessica Jones, have not gotten caught up in the coming of the Inhumans that has engulfed the Agents of SHIELD TV series. 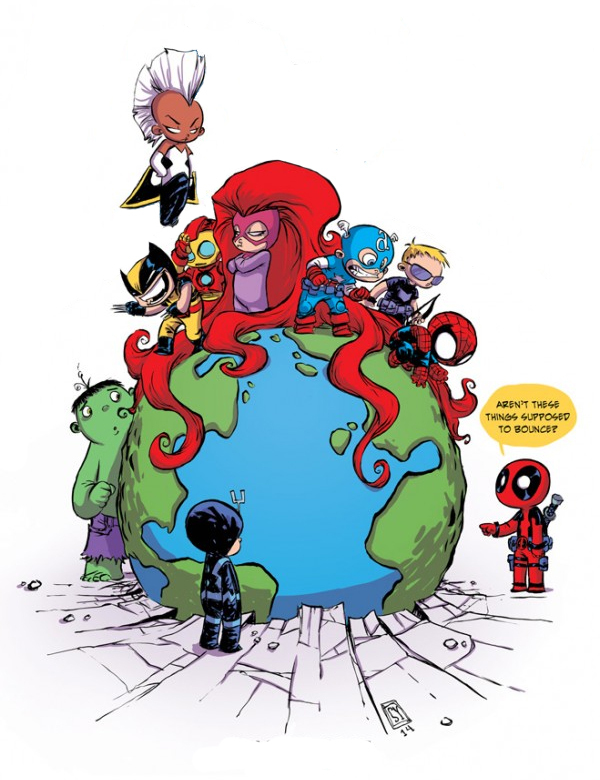 This, coupled with the Inhumans bump off the Marvel schedule leads many to believe the time of the mutants has come. Let's face it, when Marvel wants to divest itself of a property, they do it. You'd be hard pressed to find any Fantastic Four action happening in the Marvel comic book pages presently, and with FOX having suffered a serious blow as their most recent, joyless Fantastic Four reboot film fell flat on its face, we can give further credence to rumors that FOX is open to a deal much like the one that is rekindling movie-goer interest in Spider-Man. An X-Men series of films (as we've known them) is coming to a close. 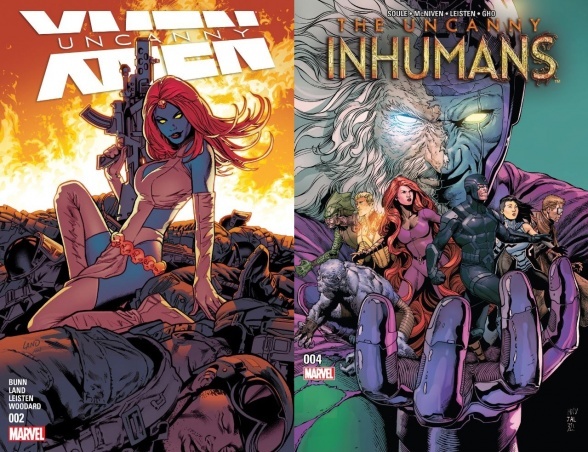 Marvel is not fully embracing their Inhuman take over and, unlike the Fantastic Four expulsion, X-Men activity in the comic pages is still very much alive and well. The stage is set for the X-Men to make their debut in the Marvel Cinematic Universe, possibly with FOX still heading up more adult spin-off films like Deadpool, X-Force and New Mutants, allowing Disney to keep their distance from that adult action, but still benefit from it. It's a perfect marriage! We'll see if rumor becomes fact in the months to come.